A chain store is a menace. Or perhaps it is a blessing. The discourse on the matter changes swiftly, but one thing&apos;s for certain: the rise of shopping local is not a trend. At its core, it is an issue of community. It is about what a community needs and what a community does not realize it needs. April Francis, founder of the monthly Dose Market understood this perfectly when she created her market, celebrating its two-year anniversary this weekend. And as her festival rose in popularity, so too have efforts in neighborhoods across the city (in Wicker Park, Logan Square and West Loop) to address the questions, concerns, and curiosities of local consumers. Where is this coming from? Who made this? Why should I care? The rise of local markets coincides with the rise and re-emphasis of shopping local. What does it mean to shop local? Well in many minds, it is not solely about purchasing from a neighborhood store. The idea of local could expand easily to regional. Goods made in Michigan or Indiana might not be as close as something made in the heart of the city, but it’s a better representation of supporting the community and lowering costs and environmental impact of transportation than purchasing from across the country or the globe. “My whole life I’ve just been fascinated with small business owners,” Francis said. Dose Market entered the consciousness of Chicagoans and quickly grew in popularity due to its attention to the taste levels of its customers and the changing needs of its sellers (or Dosers, as the market likes to call them). Francis and her team try to “curate” a mix of Dosers for each event. Sellers can apply online or are found through recommendations and personal emails. Finding the perfect mix of sellers is key to make each month’s market a success. “If we didn’t curate Dose, we wouldn‘t get the mix of sellers and we wouldn’t get the mix of products we want,” she said. By working the markets, the local business owners have also been able to thrive and succeed by adapting to the wants of their customers. That’s the great thing about small businesses and the great thing about the rise of these markets. Dosers get real face time with their customers. It is a mutually-beneficial experience. More than just faceless transactions, it is a way for customers to know more about the things they buy and business owners to know more about the people that want to buy their goods. The latest market to enter the fray is Bellwether. Founded by creators of the Renegade Craft Fair and The Vintage Bazaar, Bellwether separates itself from other markets by creating an event that expands beyond what can just be bought and sold. The founders describe the event as a market, happening and feast. Most other markets weigh heavily in one area or the other in terms of themes. Dose Market, while featuring a strong number of food options, relies heavily on well-crafted goods and local designers. 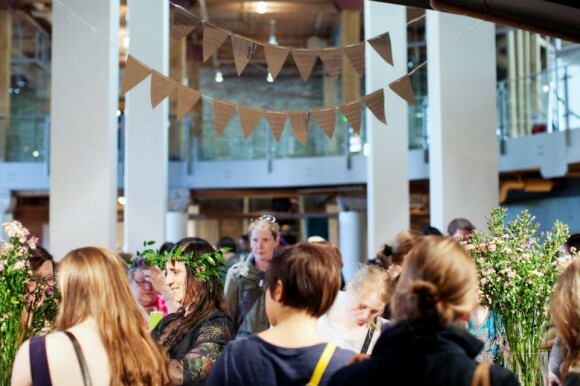 Fete Market, which recently ended in second event, was a “foodies” dream from day one. “Bellwether is our version of taking the best of all of these [specific markets] and whipping it up into a creativity explosion,” co-founder Mat Daly said. Beginning this weekend at The Hideout and moving to the Garfield Park Conservatory in September, Bellwether will feature intimate musical performances, film screenings, food vendors, libations, art installations and a selection of different regional purveyors. The market will also offer games, classes in terrariums and yarn spinning, and a special brunch at local restaurant Ada St.
Tortoise&apos;s Jeff Parker is among the performers and WBEZ&apos;s Tony Sarabia will DJ. These markets create a hub for what is happening locally. One can be surrounded by people with the same interests. It is a heady realization. They fuel the senses and introduce Chicagoans to the passions and projects of the people around them, further connecting them to the communities in which they live. 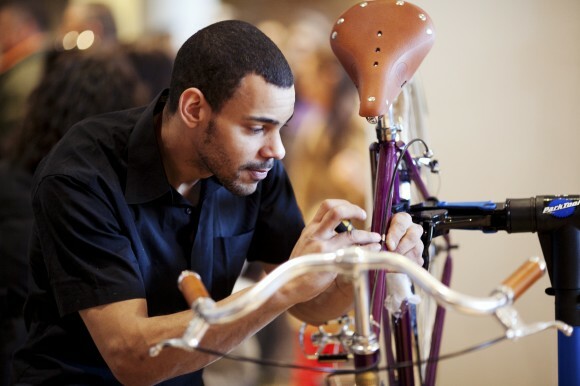 Rather than existing in a depersonalized and solely commodified culture, customers are given the chance to interact with and better understand makers and their products. This question remains important: who makes the things I love? Returning to our roots, we can now truly know. Dose Market returns to the River East Art Center on Sunday, June 9. Tickets are $10. 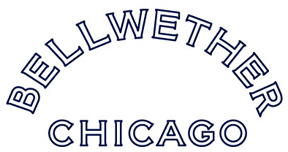 Bellwether runs from Saturday, June 8 through Sunday, June 9 and has a suggested donation of $10.